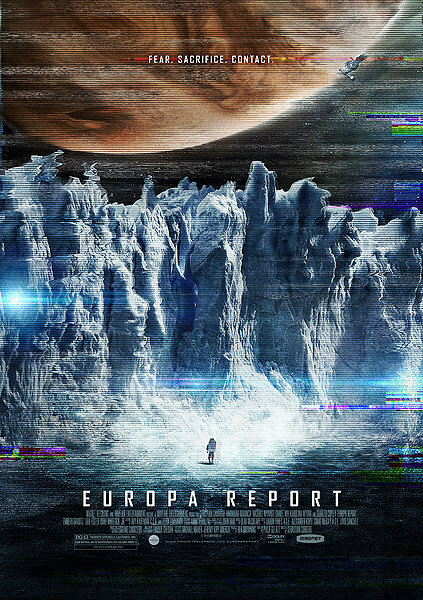 Europa Report is an engrossing science fiction film that focuses on sacrifice for the sake of knowledge. It doesn’t rely on jump scares, evil moon rocks or green men because the tension comes from the unknown. It is about six people making their way to Jupiter’s Europa moon in hopes of finding something beneath the ice. It is refreshingly earnest in its effort to tell a quality science fiction tale. It adroitly blends fact with fiction and builds towards a memorable finale that is earned and not forced. Europa Report joins Troll Hunter, Chronicle, Paranormal Activity and Blair Witch as quality films that used found footage to their advantage. It also goes out of its way to show how the footage was recovered which is something Apollo 18 failed spectacularly at. Shot in 19 days in a ridiculously detailed sound stage the creators worked hard for authenticity. Production designer Eugenio Caballero consulted with NASA Jet Propulsion Laboratory and SpaceX to build the most realistic spaceship possible. Europa didn’t have the budget of Gravity but still managed to look believable in a CGI heavy environment. My favorite aspect is that the script wasn’t lost in the science and detail. Without the script and likable characters the ending would have been wasted and the beautiful sets wouldn’t be fully appreciated. For instance, the instant classic Moon looks fantastic AND is buoyed by a fantastic Sam Rockwell performance. The Science fiction and human element combine to bring the viewer in. Europa succeeds because of its script and performances. One of the reasons I was involved in this film was that this is not a film about a threat. We’re not talking about something coming to get us. … It’s much more about the thrill of discovery — and the natural instinct for human beings to explore. Compared to the breadth of knowledge yet to be known, what does your life really matter? It is interesting to watch people make rational decisions that are not about themselves. Sure, in the end their legacy will be secured but it means they are dead. As they land on Europa about 100 meters away from the original target zone they are committed to completing the mission. Yes, bad things will happen but they occur unselfishly and with curious bravado. Europa Report does something very important. It adds a unique film to the science fiction cannon. If you haven’t watched Moon, Sunshine or Europa Report yet I recommend you check them out now. Turn off the lights. Turn off your phones. Enjoy science fiction done right.